Happy Monday Friends!~ I believe that God is ready to present you with new opportunities. 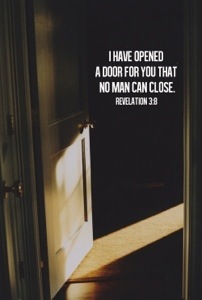 He wants to open new doors before you. It doesn’t matter what’s happening in the world around you, God’s Word remains true! Remember, in an instant, God can bring the right people into your life, the right opportunities, and the right resources to take you to a whole new level. Today, choose to keep an attitude of faith and expectancy. 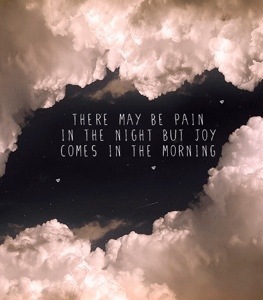 Begin to thank Him for the opportunities that are just ahead for you. Shut the door on fear and let God lead you by His peace through the door of opportunity He has prepared for you!